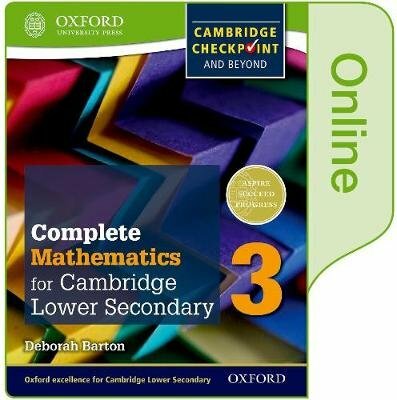 Written by experienced examiners to comprehensively cover the revised Cambridge Lower Secondary curriculum, this course will thoroughly prepare your students to excel in the Checkpoint test and offers rigorous challenge that will give students a flying start in the Cambridge IGCSE. With a methodical and logical approach that matches the new framework, carefully developed exercises will really stretch students while the sheer volume of practice will reinforce understanding. Complete Mathematics is the new name for Oxford International Maths.